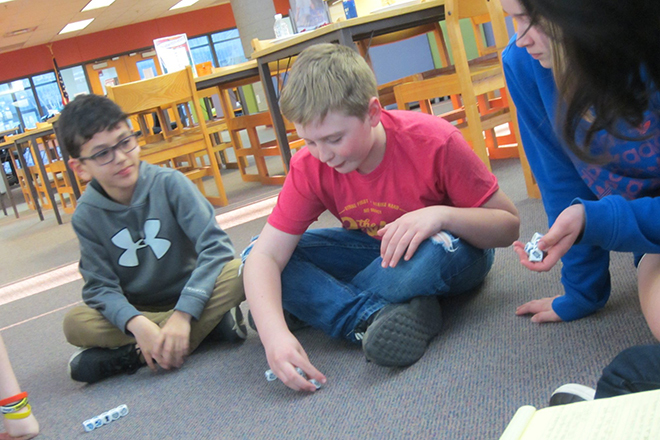 This April, tweens (ages 10-12) at Julia Hull District Library (Stillman Valley) embraced their personal fandom with a fast-pace game that integrated their favorite fictional characters to create new and hilarious stories! See what’s happening at Julia Hull District Library schedule different events and classes that can appeal to each generation of the family, separately or together! Some require advance registration and payment. 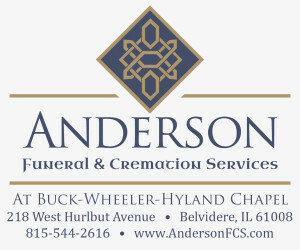 Call ahead for details or to register at 815-645-8611. Library Meeting Dates – The regular meetings of the Board of Trustees of the Julia Hull Distirct Library for the fiscal year 2018-2019 shall be held at the Julia Hull District Library building, 100 Library Lane, Stillman Valley, beginning at 6:30 p.m. on the following dates: July 16, Aug. 20, Sept. 17, Oct. 15, Nov. 19, and Dec.17, 2018; and Jan. 21, Feb. 18, March 18, April 15, May 20, and June 17, 2019. Holiday Closings – The library will be closed Friday, April 19 for Good Friday; and Saturday, April 20 for Easter. Babies & Books – Prepare your child to read with songs, games, stories and play! Age 0-24 months. Wednesdays at 10 a.m. Terrific Ts! – Bring your terrific two or three year old to the library for stories, songs, fingerplay and crafts! Ages 2-3 years. Fridays at 10 a.m.
Big Kid Storytime – Storytime for pre-schoolers is back with a new name, and a new time! Develop your child’s reading skills with thematically related stories, songs, crafts and fun. Big Kid Storytime meets every Thursday at 10 a.m. Ages 4-6. Color Block Texture Painting – Do you have wall art that feels out of date? Monday, April 8 at 6 p.m., we’ll show tips and tricks, and various tools to use, to add texture to an existing canvas. Then, we’ll paint blocks of color to create a fresh, modern work of art. Adults. Registration required: 815-645-8611. Teen Crafternoon: Peep-O-Rama – Get creative with your peeps! Friday, April 12 after school (2:45 to 4:30 p.m.) make a diorama inspired by your favorite book or movie starring an all-marshmallow peep cast. Creations will be on display the following week for patron voting. The artist behind the diorama to win The Peeple’s Choice Award will get a prize! All supplies provided. Ages 13 -18. Young Critics Book Club (YCBC) – April is National Poetry Month! Pick up a copy of Kwame Alexander’s Out of Wonder, then join fellow young critics on Tuesday, April 16 at 6 p.m. to discuss and rate the book, and do an activity that goes along with the poems! Ages 7-10. Registration required. Family Game Night – What’s better than snacks, board games, and family fun? Join us Monday, April 22 at 6 p.m. for a screen-free evening filled with a variety of games for all ages. Families are welcome to bring favorite games from home as well. Snacks will be provided. All ages. Registration required: 815-645-8611. Planning Your Spanish Vacation – From Picasso to Gaudi, tapas to paella, ancient to modern: colorful, romantic Spain has it all. Veteran European travelers, Joanna and Wayne, will continue their travel series by sharing tips for must-see sights, must-eat foods, and must-know insights. Monday, April 29 at 6 p.m. Registration required: 815-645-8611. Fandom Friday: Comic Book Edition – Calling all comic readers, this Fandom Friday is for you! On Friday, May 3 after school (2:45 to 4:30 p.m.), we’ll get pumped for Free Comic Book Day with themed snacks, crafts, cosplay, character discussions, sketching and PRIZE DRAWINGS! All supplies provided. Ages 13-18. Tween Scene: Alcohol Ink Coasters – This May, Tweens will learn how to create their own colorful alcohol-ink coasters! Keep them for yourself, or design a one-of-a-kind Mother’s Day gift! Tuesday, May 7 at 6 p.m. Ages 10-12. Registration required: 815-645-8611. This is NOT A Box Morning – Join us Saturday, May 11 at 10 a.m. for a morning filled with family fun and creativity. We’ll start by reading Not a Box by Antoinette Portis, and then things will get interesting! Each family will be given a cardboard box and craft supplies to build a wonderful new creation. What will your family make? The options are limitless: just think outside the box! All supplies provided. All ages. Registration required: 815-645-8611. Women’s Ambulance Safety Patrol (W.A.S.P): A History – Step back into a 1940s time capsule of Rockford history. On April 3, 1940, the women of Rockford founded W.A.S.P. Women’s Ambulance Safety Patrol. Within months, this effort swept nationwide and was the first Women’s Ambulance program in the country. Tuesday, May 14 at 10 a.m., come hear the incredible story, and see if you are distantly related to any of the over 200 women who were involved in this effort. Presented by Veterans Memorial Hall & Museum of Rockford. Registration required: 815-645-8611. Children’s Storytime – Spring’s a great time for storytime at the library! Join us for one of our three weekly storytimes: Babies & Books, Terrific Ts!, and Big Kid Storytime. Babies & Books (0-24 months) meets Wednesdays at 10 a.m.; Terrific Ts! (2-3 Years) meets Fridays at 10 a.m.; and Big Kid Storytime (ages 4-6 years) meets Thursdays at 10 a.m. No registration is required. Drop-ins are always welcome. See page 15 for a photo from this month’s Tween activity.